He is one of those albums that make good between our ears, which relax us from the stresses of life, which make us forget (for a moment) the incommensurable stupidity of our contemporaries. At this stage we feel that there are gifted guys anyway, good guys. You can not play six strings this way and be bad. It’s just impossible. Especially with original compositions so well written. That’s what I feel at the moment writing this column while listening for the umpteenth Desert Highway. A swinging jazz that oscillates between blues and rock. But without sleeves effects, as we say more willingly lawyers … While the phenomenon is also found sometimes in guitarists, not only. So no, no dbroufe, but riffs well taken, easy virtuosity … Finally that seems easy! Make no mistake. 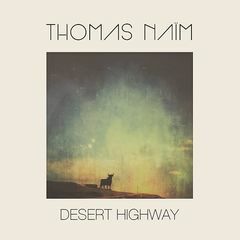 An excellent musician Thomas Naïm, with beautiful compositions, with beautiful arrangements and melodies that speak to you. It must be said that it is accompanied by a solid and effective rhythm, but who knows how to be delicate and always precise. We are in the sober and essential, more than the purity. Like a desire to drive on the “Desert Highway“!